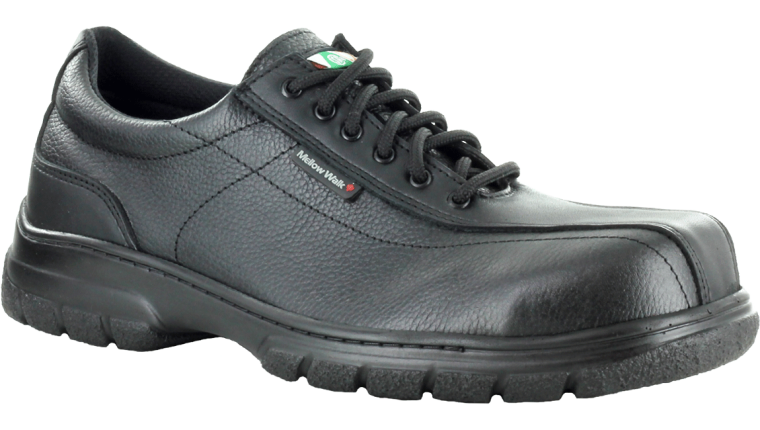 Work Authority carries our Quentin safety shoes as does Mister Safety as do many independents. If you wish to email me at feedback@mellowwalk.com with your location I would be happy to help you find a pair.. I am looking for a safety shoe that will not fall apart at the toe area. I’m a flooring contractor and I have not had a shoe that lasts longer than 3 months. Hi Paul. I can imagine that your job would be hard on shoes. I would recommend our Jack 5154 model. Thanks. What do you recommend ….!! Our 570049 Quentin is a great shoe for this purpose. Ultra comfortable fit, wide steel-toe area and soft leather. Hello, I HAVE SEARCHED FOR YEARS FOR A CANADIAN SHOE MANUFACTURER. i GAVE UP. DO YOU CARRY A CASUAL SHOE, NOT A SAFETY SHOW? ARE YOU FAMILIAR WITH SAS AND IF SO, HOW DOES YOUR SHOES COMPARE AS FAR AS QUALITY AND COMFORT GOES? We will be introducing a new line of comfort walking shoes later this year. 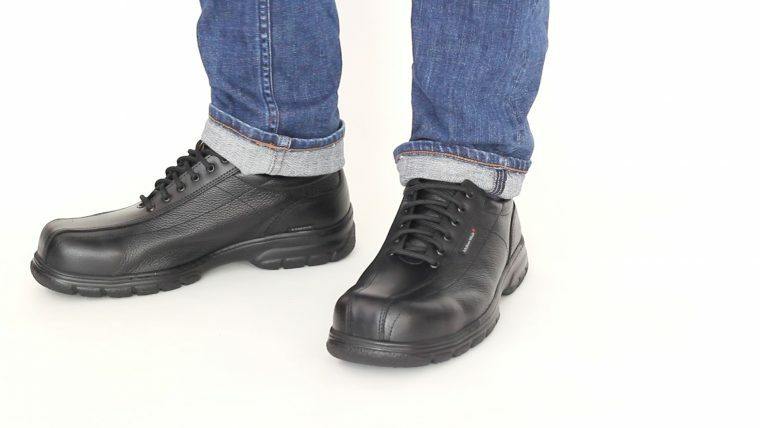 Even for our safety shoes our benchmark for comfort and fit is the best fitting comfort brands. Thanks for the quick response. Your site indicates 2 locations in Charlottetown, PEI which handle your shoes and I visited both today, I was able to check your shoes at only one location and it had only one style. But now I am encouraged to wait until your new casual shoes are available later this year. Can you advise the possible price range of these shoes? And can you notify me when they are available? I would be happy to notify you when the new walking collection is available. Regarding price range unfortunately we do not have this information available at this time. Thanks for your excitement around our made in Canada footwear. Andrew, Good afternoon. Has the Quentin 570049 shoe come to market yet? Someone from your firm was going to send me an email when it was available. Also, How can I obtain a pair to try for a fitting? Have you established a price yet? Thanks for following up with us. We are proceeding now with our soft-toe ladies comfort shoes though it is taking us longer with our men’s comfort shoes. I don’t have a firm date for release, however my guess is late fall. I appreciate your ongoing interest. If you are able to try a pair of our safety shoes on at Marks in PEI I would be happy to special make you a pair without the steel-toe. Thanks. Andrew, good evening. I finally made it to Mark’s Work Wearhouse this evening. They had only 1 model safety shoe which was a slipon. I had hoped to find a shoe like the Quentin. They carry some womens safety shoes also. Are there any stores in Moncton or Saint John, NB which carry your lines? I will call and then venture over there next week if they carry Quentin. It’s 6 hours drive to Saint John but I need a good shoe. Thanks. Is this shoe not available in EE width, only EEE? Our Quentin 570049 model is a 3E only. If you haven’t yet tried on a pair I would recommend it. You may find that the laces help with fitting. Thanks for writing. I live in the U.S., west coast. I would love to try a pair of your shoes, but not clear about sizing, or availability here. I am currently looking at the Quentin 570049, as it has the EEE width. My foot is fairly wide, and I find with most steel-toe shoes it aggravates my toes when too close to the plate. Which of these safety boots are oil and acid resistant, and also green CSA and electrical shock resistant? All of our Quentin, David, and Jack soles are CSA approved for electric shock resistance. With the exception of Jack 5154 all of these models offer steel-toe and a composite protective plate. For occasional contact with oil/acids you will be fine, however the shoes are not intended for constant, daily exposure with oil/acid. I hope this answers your questions. Thanks. The Quentin 570049 is a really great shoe that fits wide and is great for all day comfort. Given the nature of your husband’s work he may want a taller boot. In that case I would recommend a trip to Marks as they have a great selection of all safety footwear brands including Mellow Walk. Good evening, Andrew. Has the walking show become available to retailers yet? I plan to go to Ottawa the last week of November and perhaps you can direct me to a retailer who stocks you products in that area. Nice to hear from you. Sorry to be the bearer of bad news, the ladies walking shoes went ahead however the men’s are on hold. We did go ahead with a men’s walking boot. I have included a link to it here. If you are interested I would be happy to provide you with more information. Andrew, thanks for the quick response. Yes, I am interested and if you can advise where these are available in or near Ottawa I want to try them. Do you think they would be suitable for winter wear? 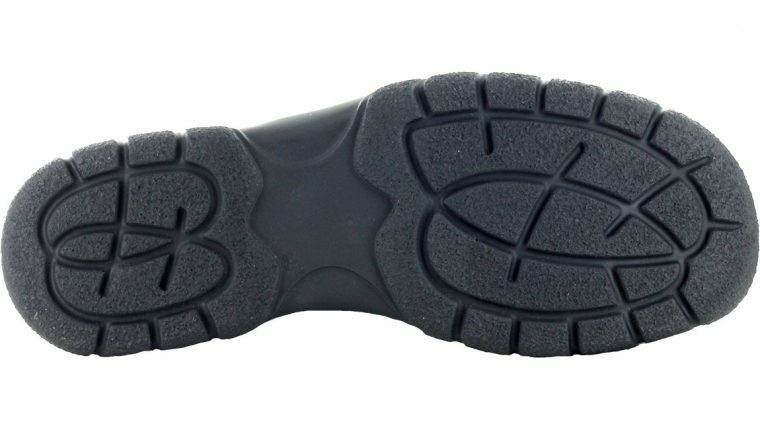 The sole is made from thermal rubber so I suspect it would be fine for outdoor winter use. Note that this boot does not have a winter lining to it. I’m not sure anyone is carrying it in Ottawa yet however we can courier you a pair to try for fit. Please email us at orders@mellowwalk.com. Thanks. I just want to thank you for a product very well made, right here at home, in Toronto. I was very happy to be able to buy, in my local store, a great pair of Canadian shoes. My new safety shoes feel and look great. You guys put a huge, proud, smile on my face. Thank you again. Well now you have us smiling. It’s definitely contagious. Thanks for such amazing feedback. The Quentins are extremely comfortable but after almost a year of wear, the insoles look like swiss cheese. Where would I be able to get replacement insoles for this model? The shoes are still in great shape. Please email our office feedback@mellowwalk.com with your shoe size and address and we will get a replacement out to you. Hi I would like to buy the Quentin 570049 mens shoes I normally take a regular size. I’m scared EEE might be to wide for me. What do you think? I do need a shoe for lots of walking, and standing for 8 hours a day. If you have an opportunity to try on the shoe in a retail store that would be best. Overall the 570049 is a really comfortable shoe. If you don’t require a Puncture Resistant Plate you may want to consider Patrick 5145 as it is an EE fit. Thanks.